Dr. Chiao is top-notch. He spent a good amount of time explaining what he believed my medical condition was and ensuring that my husband and I understood next steps in the treatment process. He showed a high degree of concern and outlined a great plan for resolving my health issues. He was condescending, arrogant and would not even listen to our concerns/issues. He was dismissive and would not let me talk. I wanted to explain about my recent visit to Mayo Clinic and why I had come to see him, and he repeatedly cut me off and stated that he did not want to hear what I had to say. I felt disrespected and treated like a child. It was a complete waste of my time. Dr. Chaio, MD provided excellent compassionate care. 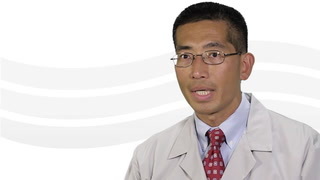 Dr Choi is the best gastroenterologist I have ever used. I have already recommended Dr. Chiao to my family. Love Dr Chaio, my husband and I both go to him and he is an outstanding Dr, would highly recommend him to all. He was very understanding about my problem and I cam away quite satisfied.